Deadly power. Stunning beauty. She will not be controlled. Sixteen-year-old Beth’s ordinary life is shattered the night her dormant magic awakens and she almost kills her boyfriend. Horrified at what she’s done, she flees into the fae realm to find the siren mother who disowned her a decade ago. When it turns out her power cannot be controlled, she is once again cast out from the siren community. Alone and afraid, Beth winds up in the Dark North where a group of witches rescues her. They offer to help her gain control of her deadly magic—but at what price? 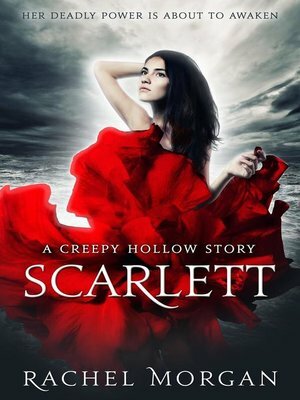 Scarlett is a companion story to the bestselling YA fantasy Creepy Hollow series. Grab your copy today to taste a darker side of this captivating magical world! While this story is best enjoyed in conjunction with the rest of the Creepy Hollow series, it is a standalone story that can be read on its own.